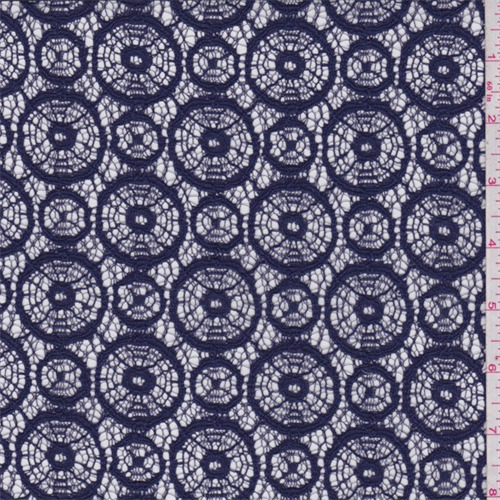 Lightweight cotton and nylon blend lace with a circular design. Textured and dry hand/feel. Nice drape, ideal for blouses, dresses and overlays. Sheer, use a lining or underlay when opacity is desired. May also be used in home decor and crafts. Hand wash cold or dry clean.